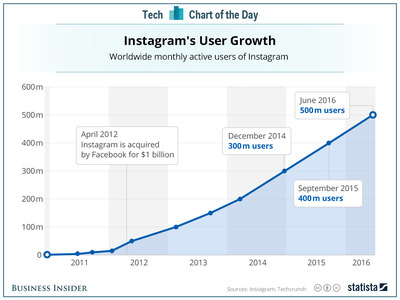 When Facebook bought Instagram for $1 billion in 2012, critics howled. How could Mark Zuckerberg be so crazy as to pay that much money for a company that only had 13 employees and one little app? Four years later, he’s been proven right. 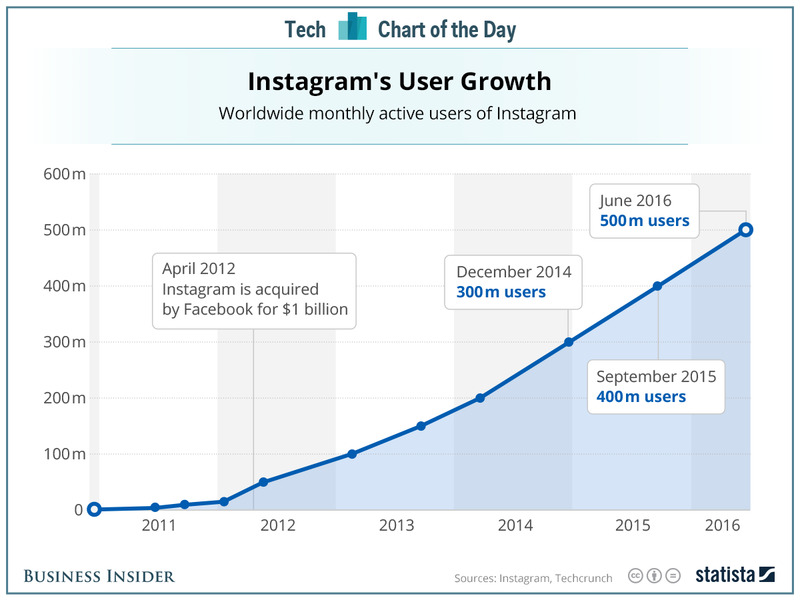 Instagram has shown the kind of up-and-to-the-right user growth people love, and passed 500 million users on Tuesday, up from 400 million a mere 10 months ago. But there’s a cloud on the horizon. In the blog post announcing 500 million users, Instagram said that “more than 80 per cent” live outside the US. That means less than 100 million users in the US. Last September, when Instagram boasted about passing 400 million users, it said that “more than 75 per cent” lived outside the US — in other words, less than 100 million in the US. Why the stall? The most likely reason is that US teens are increasingly turning to Snapchat, which just passed Instagram in AppAnnie’s ranking of amount of time spent in each app.